We are pleased to provide sample wording for your corporate, formal and business invitations. The way you word this is important because you’re passing on information about your exclusive event and you want to make sure it’s perfect. 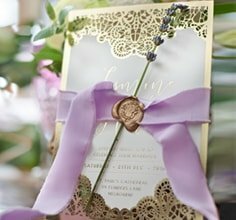 Planning an event and playing host to a circle of companions and colleagues is an overwhelming role to take on and you want to get it right down to every last detail including the wording on the invite! The announcement of an occasion doesn’t always prove to be easy and getting the wording right can be significantly hard. To state all of the information succinctly and simply can be a daunting and distressing task, but we’re here to help. We have put together some wording templates for you so that you can announce your special event without a worry. We’ve made sure it’s all clear and concise so all you need to do is tweak the finer details. Please feel free to use them as a basis for your own write up. When asking of others to free a date and join you somewhere, you must be exact with the way you share these specifics, and these are what our wording models aim for. If you’re needing some assistance with what to write or how to set out your invitation for your Christmas party, significant celebration or work-related gathering, have a look through our templates and get inspired.